Route information will be shared Friday morning before the Ride to registered Riders/Passengers only. Since the December 2, 2010 forest fire that swept through the Carmel, JNF has been rehabilitating the land and helping to redevelop the fragile ecosystem that was almost destroyed by the fire. We will never be able to ease the pain of the families of the 41 prison wardens who were tragically caught in the fire en route to assisting a prison evacuation in the Carmel. We hope to ease the financial burden by ensuring that the children of the fallen prison wardens will have no barriers to education. 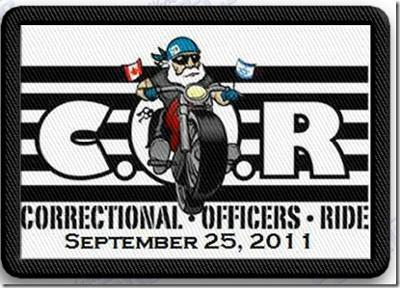 JNF Toronto and the Hard Chargers Motorcycle Club are proud to organize the 2nd Annual Correctional Officer's Ride (COR) on Sunday, August 12, 2012. Funds raised from the ride will establish an educational scholarship fund for the children of the fallen Israeli prison wardens. "Although we live and work in different parts of the world, we still have the same hopes and fears. We do our job the best we can and hope to get back home safe and sound"